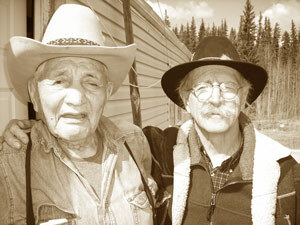 In 1974, poet Lorne Dufour moved to Alkali Lake Reserve, near Williams Lake, to help re-open the local elementary school. By 2015, the former school where he taught had been transformed for use as the Esket First Nation’s community’s band office. The old Catholic Church, featuring a bleeding and battered Jesus outside on a cross, was still in tact at the village entrance. In 1985, Lorne Dufour played the alcoholic priest in the film The Honor of All, the story of the Alkali Lake Reserve’s largely successful battle with alcoholism. His memoir of life at Alkali Lake is Jacob’s Prayer: Loss and Resilience at Alkali Lake (Caitlin, 2009). Lorne Walter Dufour is a handlogger who lives off the grid with his wife, Diana, on their woodlot right next to Gibraltar Mine, in the McLeese Lake area. He has also worked as a counsellor, travelling showman and a poet. His book about Alkali Lake is his only work of non-fiction. Like many First Nation communities across Canada, Alkali Lake had been ravaged by decades of residential schools, forced religion, abuse and alcoholism. But Chief Andy Chelsea and his wife Phyllis took it upon themselves to lead their community on a long and painful road to sobriety and what ensued was a dramatic transformation of a people enslaved by a seemingly unstoppable plague. Jacob’s Prayer centres around one tragic Halloween evening in 1975 when two men lose their lives and another is saved by a friend who chooses not to be destroyed by his own devastating loss. Jacob Roper, a member of the Esketemc people (formerly known as the Alkali Lake Band), is not a fictional character. He saved the life of Lorne Dufour in 1975, after Dufour had arrived to work as an elementary schoolteacher. Born in Blind River, Ontario, on December 9, 1940, Dufour attended the University of British Columbia, Simon Fraser University, the University of Ottawa and Michigan State University at East Lansing. He met and was influenced by poets like Robert Duncan, Robert Creeley, Allen Ginsberg and the Canadian poet Red Lane, as well as the poetry teacher Peter Quartermain. His first marriage, to Joan Preston, gave him his son Adam in 1972. In 1975, he married Diana Geensen, a librarian from Williams Lake, whom he met while teaching at Alkali Lake. Before moving to Alkali Lake, Lorne had travelled with Little People’s Caravan, a gypsy-style theatre company with wagons pulled by magnificent Clydesdale horses. Lorne and Diana purchased a pair of Clydes in 1976, Andy and Prince, and began logging with them near Salmon Arm, where Lorne published his first book of poetry, Spit on Wishes. The couple have raised three children, Creole Dan, Tereina Marie and Eastern Joe. Jacob Roper, a member of the Esketemc people (formerly known as the Alkali Lake Band), saved the life of Lorne Dufour in 1975, when Dufour was an elementary schoolteacher at Alkali Lake. 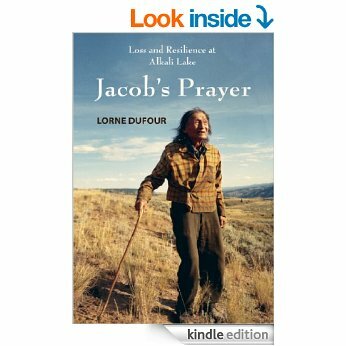 Dufour’s new memoir Jacob’s Prayer: Loss and Resilience at Alkali Lake (Caitlin $18.95) recalls Jacob’s inspirational rescue as well as the tragedy that took the lives of two prominent local men on the same unforgettable night. In 1985, Lorne Dufour played an alcoholic priest in the film called The Honor of All that re-enacts the story of the Alkali Lake Reserve’s battle with the severe spread of alcoholism. Lorne Dufour is now a handlogger and poet who lives off the grid in McLeese Lake, B.C., with his wife Diana. Jacob Roper still lives at Alkali Lake. The saga of alkali lake is a classic B.C. story. For decades the gigantic Alkali Lake Ranch in the Cariboo was separated from the Secwepemc village of Esket (Alkali Lake) by a narrow, gravel road. On one side of Dog Creek Road was poverty; on the other was opulence. The famous ranch owned by the Riedemann family fifty miles south of Williams Lake, was founded in 1861 by German-born Herman Otto Bowe. It long provided local employment, but Dog Creek Road marked the boundary for two solitudes, Cariboo-style. Then Andy Chelsea’s seven-year-old daughter Ivy changed everything in 1972 when she told her mother Phyllis she was refusing to come home if her mother kept drinking. Phyllis Chelsea was the first person in the community to swear off booze. Her husband Andy followed suit three weeks later. In the fall of 1972, Andy Chelsea, sober, was elected chief. Gradually, more adults in Esket rejected alcohol. The elementary school was re-opened. By the time Lorne Dufour arrived in 1974 to teach the Grade four and five classes, about 40 per cent of the adults had kicked the alcohol habit and the village was regaining its future, its self-esteem. Then came a terrible boating accident… In 1975, on a blustery Hallowe’en night, school principal John Rathjen and rancher Martin von Riedemann lost their lives—and Lorne Dufour’s life was saved thanks to the quick actions of Jacob Roper. Jacob Roper was no stranger to tragedy. As described by Cariboo reporter Sage Birchwater, Jacob’s nineteen-year-old daughter, Rose Marie, was found dead beside a gravel road adjacent to a garbage dump on April 8, 1967. In recording how Roper saved his life 34 years ago, Dufour remembers his two companions who died. Martin von Riedemann was a respected thirty-nine-year-old cattleman and a founding director of the Cariboo Regional District. He took control of the ranch operation in 1963 after his father, an Austrian, had purchased it in 1939. Largely for the benefit of his neighbours, Riedemann had bought seven hundred dollars worth of fireworks which he planned to set off on Hallowe’en night from his small boat anchored in the middle of Alkali Lake. Everything went according to plan, until a strong gale-force wind blew up the valley from the Fraser River. John Rathjen, at twenty-nine, was the much-loved principal of the three-classroom elementary school in Esket village. Rathjen had accepted the challenge of reopening the Esket Elementary School, which had been closed for eight years. Lorne Dufour was one of three teachers hired to work in the school with Rathjen to develop individual learning programs for each student. Lots of the students in grades four and five had never been taught to read or write. Jacob knew what to do to treat severe hypothermia. He stripped off Lorne’s clothes and put him into a bathtub of warm water. “He kept pouring bucket after bucket of warm water down my backbone until I revived,” Lorne recalls. Jacob says he learned how to treat hypothermia from his grandfather and “all the old Indians. Water draws out the cold,” he explains. Jacob says he could have saved Martin’s life too, but he never had the chance. Martin was still alive when he was rescued from the cold water of the lake and whisked up to the ranch house by his family. Still wearing his wet clothes, he was wrapped in a blanket and placed in front of a roaring fireplace, and the doctor was called from Williams Lake. Riedemann died that night from hypothermia as the cold penetrated his body and stopped his heart. Sadly, John Rathjen never made it to shore. His body was recovered the next day from the lake, close to the spot where Lorne had seen him disappear beneath the waves. “In a way I am Jacob’s prayer,” Lorne Dufour says. “I survived, bought a team of horses and had a family. “By his actions, he got beyond forgiveness. He got in touch with creation. He did it automatically. He did what had to be done. He knew when he was called to do something he could do it. 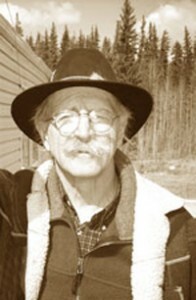 In 1974 Lorne Dufour moved to Alkali Lake Reserve, a Shuswap community near Williams Lake, to help reopen the local elementary school. Like many First Nation communities across Canada, Alkali Lake had been ravaged by decades of residential schools, forced religion, abuse and alcoholism. But Chief Andy Chelsea and his wife Phyllis took it upon themselves to lead their community on a long and painful road to sobriety and what ensued was a dramatic transformation of a people enslaved by a seemingly unstoppable plague. The story centres around one tragic Halloween evening in 1975 when two men lose their lives and another is saved by a friend who chooses not to be destroyed by his own devastating loss. 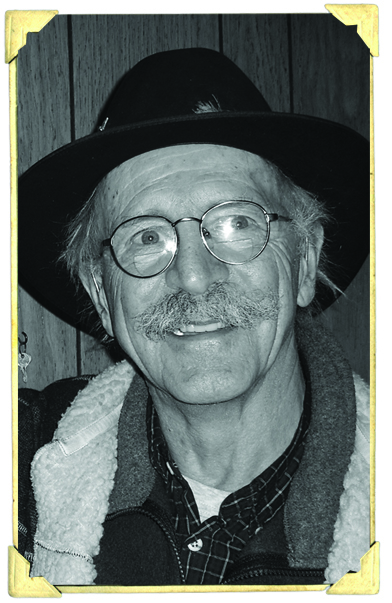 Lorne Dufour has worked as a teacher, a counsellor, a logger, a travelling showman and a poet. He is a handlogger and lives off the grid in McLeese Lake, BC. I really do not wish to ascribe to the future. For the better part of the last forty years, and including this week, I have been working with horses. I found the horses and they found me, sort of like Andre Segovia being discovered by the guitar, all the magic and the music just waiting to be released forever. My direction is cherishing the past while we move into the future. I see how the machinery is taking over the planet, how technology is slowly heading into the direction where only technology exists. F–k it; just spend a day pulling something like twenty logs out of the bush with a team and you will discover something no one else can discover unless they, too, will lay it all out on the face of existence and let the dice roll where they will. By all that is held holy and spiritual, you will never discover the same revelation from some computerized gadget attempting to direct our thoughts and our lives. Writing and publishing, and the very fact that books are simply wonderful when they achieve what we aim to achieve—the cooperation of author, publisher and reader—will, to me, always keep us connected. Computers are attempting to replace writing; they have their own short-form vocabulary now. So many of my old friends have been lost by replacing writing with instant, short-form communication. They are lost and I have lost them as old friends. When me and my lady love started out with a team of horses, Andy and Prince, two beautiful Clydesdale wild animals, I wrote a poem about this very issue. I called it Profile of Death. in a final signature of light. once again, like a man.